I’ve been doing this journalism gig for a good while now, and never before have I had to take on an imaginary beaver for a very real case of plagiarism. But Buc-ee’s gone and done it now. He stole the words right off of my blog and stacked them over here. If the beaver had spoken to anyone who knows me, he might have realized what a huge mistake it is to steal words from me. I take it very, very seriously. As I’ve told my students at the beginning of each semester, in the 10 years or so I spent as an editor, I only fired three people; two of them were fired for plagiarism, one online and one in print. Last fall, a few students didn’t take that warning seriously. Four of them stole other people’s words and turned them in as their own in class assignments. One stole from a story written by a reporter for the Associated Press, another stole from a story in the Las Vegas Review Journal and another stole from both of them and from the student newspaper, the Rebel Yell, taking words from a story written by another of my students! They flunked the class. I was very happy to give them the grade they earned for such thievery: an F. Those students are now on academic probation, and if they do it again, they will be kicked out of school. So what to do about the beaver? I can’t fire him and I can’t flunk him (though he has already flunked himself). I can do something even better: turn him into a teaching tool! Among other things, I’m teaching blogging this semester, and there’s been some discussion in class about whether the rules are different for bloggers. The short answer is no. Whether you are published in a newspaper, have your story broadcast on television or radio, or if you post in a blog, the same basic rules apply. Rule No. 1: No stealing other people’s stuff. Rule No. 2: No making stuff up. Now back to the beaver. I’m sending this blog post to the email address on Buc-ee’s corporate Web site. That’s because Buc-ee’s Blog doesn’t have any contact information and has the comments field disabled on its blog. In the meantime, I’d love to see some student comments here after we talk about Buc-ee’s blunder in class today. 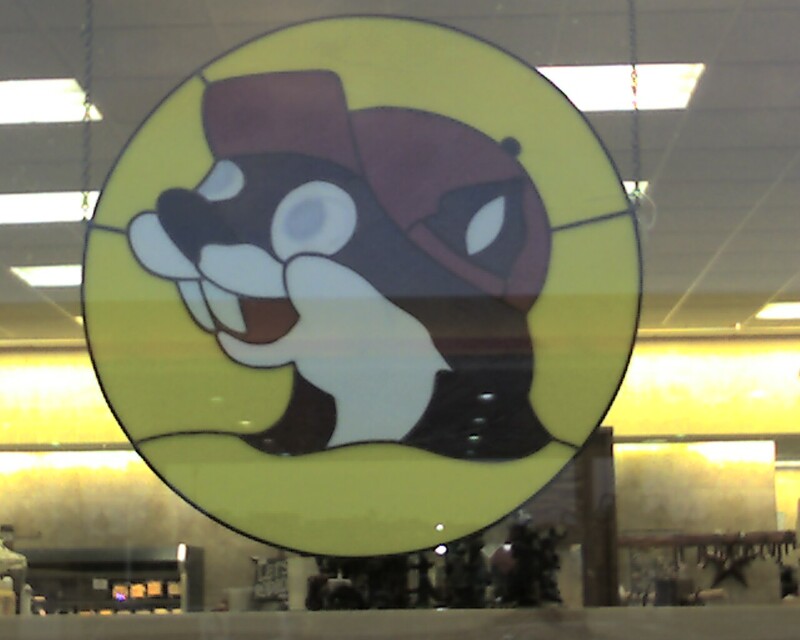 I am writing to alert you that the blog that is being compiled under your auspices (Buc-ee’s Beaver Blog http://buc-ees.com/wordpress/) is not properly crediting people who have written about Buc-ee’s. I am a journalist, and the post I wrote about Buc-ee’s, was purloined and posted, word-for-word on the Buc-ee’s Blog in a manner that made it appear as if Buc-ee’s had written the words. I would be quite happy for you to properly quote my work *with proper attribution,* and I will update my audience (and the students in my journalism class at the university) once you have done so. This entry was posted in Bucees, ethics, journalism. Bookmark the permalink. ← Hey, check this out! Looking at the “Buc-ees blog,” I have no real idea of what the company is trying to do. Their “Testimonials sent to Buc-ee’s Beaver” seem to be little more than search engine bait to bring customers to a website which, oddly enough, is not linked to the main page. My gut wants to give Buc-ee’s the benefit of the doubt on this one. My guess is they probably don’t realize that copying someone else’s words and displaying them as their own on the internet is just as bad as doing it in any other medium. Or maybe it was just a kid who just didn’t know better, like you suggested. Or maybe they thought they’d just get away with it. I am very glad to see that you are not a sue-happy person. I really liked the way you handled their plagiarism. I believe that confronting them about what they have done and giving them one option was very mature and thought out. Being inexperienced, my initial thought would have been to tell them to delete it, but then it does not let any one else learn from their action. I hope they meet your requests. One thing for sure is, you can always use this example to teach people how horrible it is to plagiarize, and how easy it is to catch it. Im happy to see that your request was answered by Buc-ees and that your comment was properly attributed to you. Its good to see that ethics in journalism has prevailed.